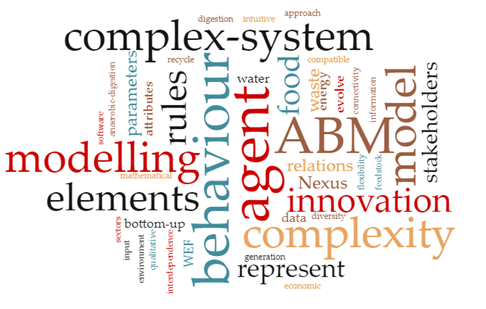 Is Agent Based Modelling the Ideal Method to Investigate Innovations within the Water Energy Food Nexus? Recently we finalised the development of two Agent Based Models (ABMs) for Anaerobic Digestion (AD) innovation as part of the EPSRC funded Stepping UP project. Agent based modelling was selected as the method to understand the step-change impact of the diffusion of innovation across the Water Energy and Food (WEF) Nexus. This blog revisits the characteristics of complex systems, complex systems thinking for WEF Nexus and agent based modelling for complex systems. Reflections on the development of ABMs for Anaerobic Digestion innovation are included at the end of the blog. Read more about Is Agent Based Modelling the Ideal Method to Investigate Innovations within the Water Energy Food Nexus?